The Pony Club will not be liable for any costs, claims, losses or damages whatsoever, whether in Contract, Tort or otherwise and whether direct, indirect or consequential, arising out of or in connection with use of this site or relating to any goods, animals or services advertised on it. Advertisements placed on this site are deemed to be invitation to treat and advertisers will not be bound by communications received from third parties. The Pony Club does not control or endorse any information, materials, product or services which may be advertised on this site. 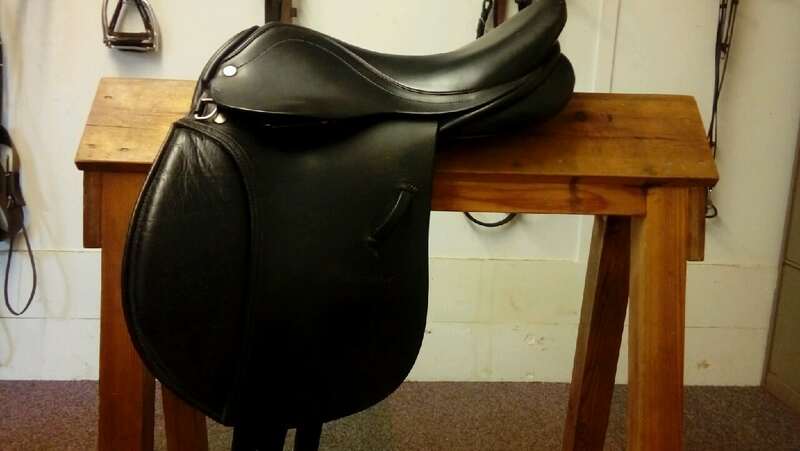 14 inch Black Barnsby Pony Saddle. MW fit. Want to get your horse/pony out and about this summer for training or competitions but have no transport of your own? Local, trustworthy and reliable transporter HJ Equine Transport has been used by Woodland Pytchley member and comes highly recommended. Looking to buy or loan a gentle, experienced and kind 12.2 hh pony for my nervous 7 year old son. He participates in Pony Club, loves to hunt and riding out in the heart of the Fernie Country. We can offer a very happy home for a much loved pony in a small yard run by a highly experienced mother and daughter team, surrounded by countryside, 3 other ponies and some Point to Pointers. My ambition is to find a pony who would enjoy the next 3 or 4 years with us either for sale or to loan. Pony Club reference needed for any potential ponies. Please call Kate on 07967 649 748. All round gelding only for a wonderful home in Little Brington. 12 yrs and older preferable one that’s has done it and is safe and steady into jumps. Wanted to bring on a 9 year old girl followed by my Son when he has outgrown his 11.2. Must be good to hack and load and all P. C activities. Looks not important but must be reliable. 13hh2 18yo Chestnut Mare for sale. Krackle is a fantastic, fun first pony. She has been with WPHPC for 8 years. Great SJ & XC – nearly always in rosettes at local shows. Easy to do, never sick or sorry. Very sad sale but she is outgrown and ready to bring on another young rider. Can remain at current yard near Rothwell where she has been for 8 years if required at very reasonable rate. £1800.00. We are looking for a sane, safe 12.2-13.2hh pony for my son who has just come off the lead rein. Pony required to show him the ropes and do some pony club activities. We are an experienced equestrian home. Emma Cornwell ESMT. Fully Qualified and Insured. References available upon request. The Woodland Pytchley Hunt is a Branch or Area of The Pony Club. Visit www.pcuk.org for more information.